AXIS Q60-S cameras - robust, stainless, high end! AXIS Q60-S cameras – robust, stainless, high end! Home IP Cameras AXIS Q60-S cameras – robust, stainless, high end! 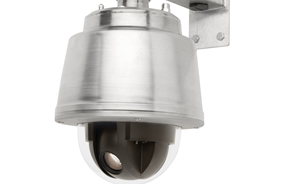 The new PTZ dome network cameras from the Q60-S series feature a stainless steel casing, through which the video cameras are ideal suitable for the monitoring of systems in the maritime sector, mining, oil and gas industry and in the food industry, manufacturing medical equipment and production under clean room conditions. In addition, the stainless cameras are resistant to corrosion by seawater and cleaning chemicals, the high pressure cleaning they keep also stand. They can be powered at temperatures between -30 and +50 degrees. Because of the filling with nitrogen condensation of humidity is not possible. AXIS Q60-S cameras are certified to IP66, IP6K9K, NEMA 4X and MIL-STD-810G 509.5 and provide protection against dust, rain, high-pressure/steam jet, snow, ice and salt water fog. The cameras will be delivered with a multi-cable and a Media Converter Switch that allows a network connection over a standard network or fiber optic cable. Via two configurable inputs, outputs and a 12V power cable cameras can be connected to external alarm devices. Mounting accessories in stainless steel are available separately, as well as a power supply. The “defogging” function detects fog and filters it out digitally to achieve a clear video image. Because of the three times higher photosensitivity as standard HDTV cameras the image quality in low light is outstanding. The AXIS Q6045-S has the highest video resolution. This gives you an exceptional sharpness of detail when shooting with telephoto lens or zoom. In addition to the auto-tracking and Active Gatekeeper – which are present in all AXIS Q60 models – the AXIS Q6045-S with integrated video analysis features functions such as highlight compensation (the bright light spots weakens within the scene for easier viewing), removing objects, fence detection , object counter and entry/exit detection. Shock detection enables the camera to trigger an alarm if it has been hit. 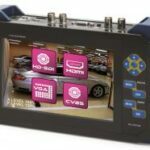 Tour recording functionality enables easy setup of an automatic tour by allowing a device such as a joystick to be used to record an operator’s pan/tilt/zoom movements and length of time spent at each point of interest. The tour can then be activated at a touch of a button or at a scheduled time. Of course, you will find the complete Q60-S series in VTIS Shop. Questions about cameras, the AXIS Q60-S series? by admin	29. January 2014 0 Com.